AERO COLOR?? 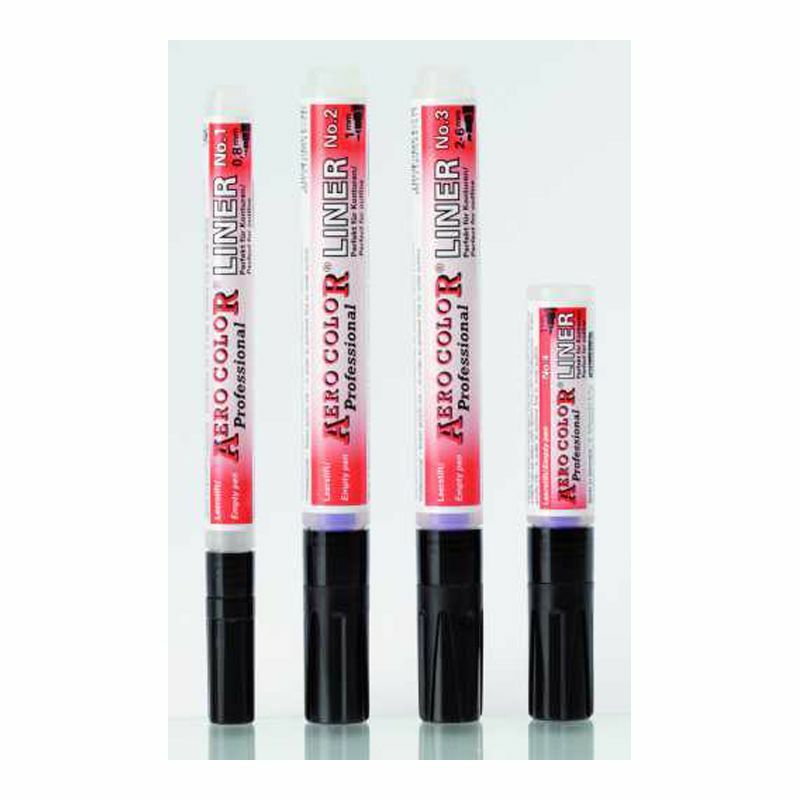 Professional LINERS allow for the fast and easy application of ink without using an airbrush. The empty pens are available in different sizes and different tips. This allows for the creation of individual sketches, drawings or signatures on diverse surfaces such as paper, canvas, wood, primed metal or primed plastic.